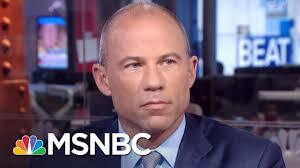 Mr. Avenatti’s is particularly sweet, as he combines the image of a cheap deck of cards with folding. A poker player with a losing hand would certainly fold but “like a cheap suitcase”, although I suppose there are cheap enough cards out there that bend easily. Casinos would not use them. I think the mashup was also caused by the word “suit” in the proper idiom, with the speaker associating “suit” with “cards”. A big thanks to Jim Kozlowski for spotting this one first and sending it in. I had many people send it in as well, but Jim was the first so he gets the malaphor kudo.